As featured online at Aluminarium.com. Andrew and Jen are full-time on the road with their 3 dogs; Sashi, Tahoe and Dually. 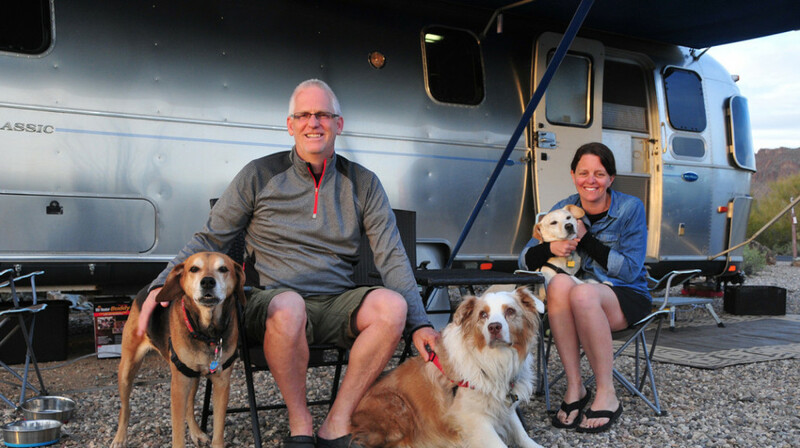 The couple has been living in and renovating their Airstream at the same time! Andrew also works as a corporate consultant after years of working at Whole Foods with Jen in employee training.